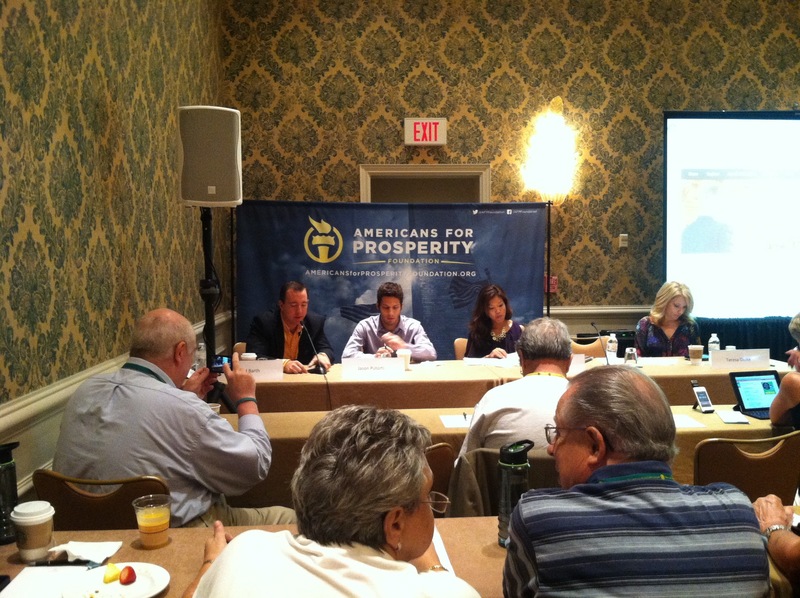 AFP Summits: Day 2 in Orlando! After an exciting Friday– the first day of the conference I wondered how day two the second half of the conference could possibly match up! It was great though! I went to a couple of great breakout sessions in the morning, then headed over to the Defending the American Dream conference where a group of us were to meet with Michelle Malkin (I won the card match game the night before!). Panelists: Chad Berth, Michelle Malkin and Jason Putorti. Panel: Chris Berg, Josh Blackman and Bennett Kelley. After a meet and greet with Michelle Malkin I raced over for the regional lunch. By that time panelists which, which included my state’s AFP director Joe Montez, were taking questions from attendees about Common Core. I was shocked to hear many new things about Common Core. Common Core would take away many choices we have in education today. It would affect not only public school students, but those with a private K-12 education as they seek admittance to colleges because the SAT and ACT standardized college admittance tests will be changing their tests to align with Common Core. The regional lunch was a good opportunity to connect with New Mexicans and meet some activists I had not yet run into during the conference. At two in the afternoon there would be the combined closing general session for Defending the American Dream and Right Online. 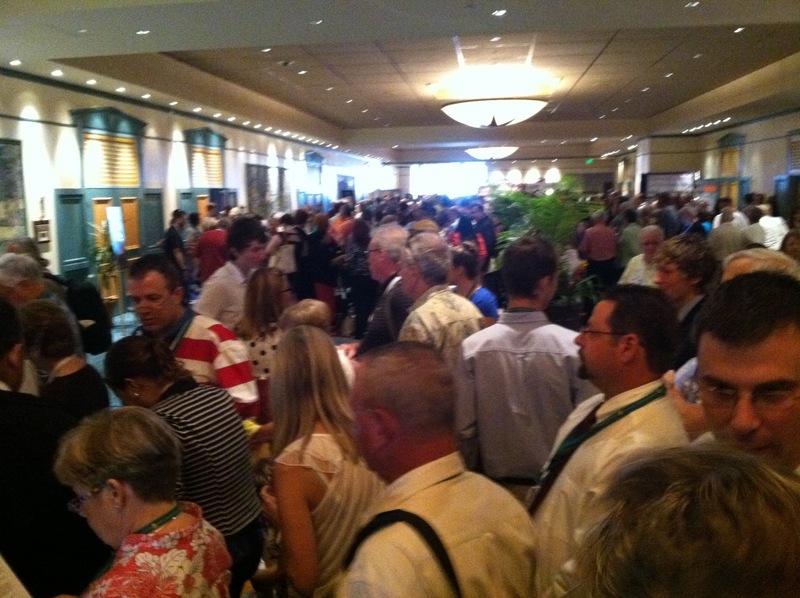 A large crowd lined up at the numerous double doors in expectation of the main attraction of the Summits! The conference room was crowded and I found a seat at the back of the front block– not as close to the as Friday so my pictures aren’t as good, but we still see some good ones! 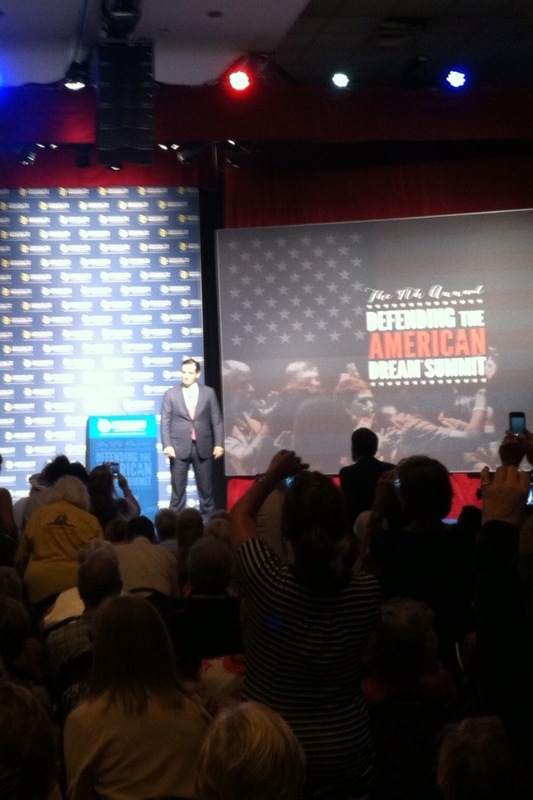 Senator Ted Cruz entered the stage and gave a rousing speech cheered on by the crowd! Toward the end of his speech attendees shouted, “Run, Ted, run” in unison. It was amazing. Is the presidency Cruz’ future? Senator Rob Johnson shared a message of unity, reminding his listeners that we can defund Obamacare if we win the Senate! Bill Whittle spoke about our entertainment driven society that no longer has the same standards of past generations, then encouraged the audience to strive to defeat the Debt Star, even though the evil empire may try to stop us! Fox’s Greg Gutfeld closed the session and conference. The combined Right Online and Defending the American Dream conferences were a great idea in my opinion. From sessions on messaging and how to best reach people, to being prepared for the Left’s scrutinizing questions…from beginning social media and blogging tutorials to sessions which were far advanced beyond my level…there was something for everyone no matter what level. It was a great way to learn more about spreading the conservative message while networking with other activists and meeting some big names in our conservative movement!! 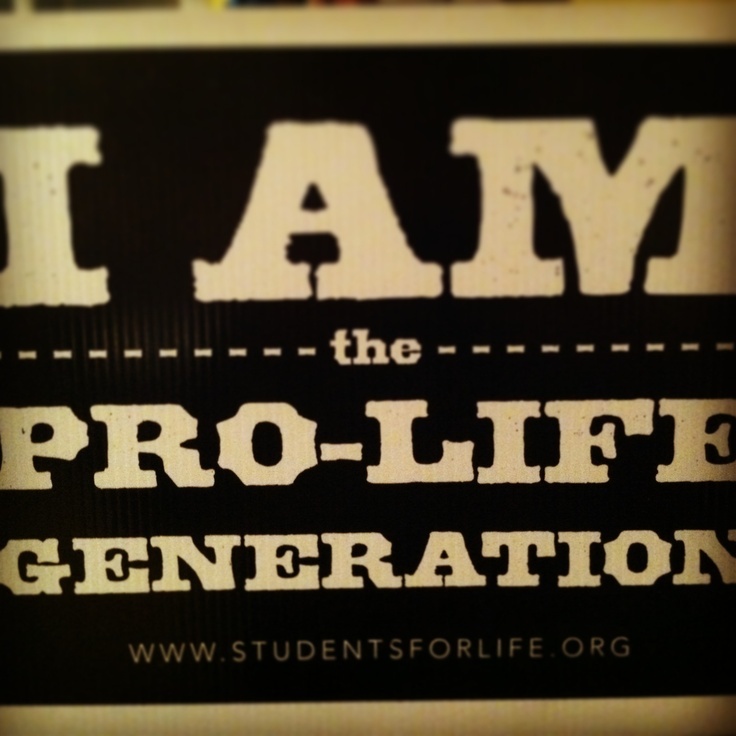 I hope more New Mexicans will attend next year! 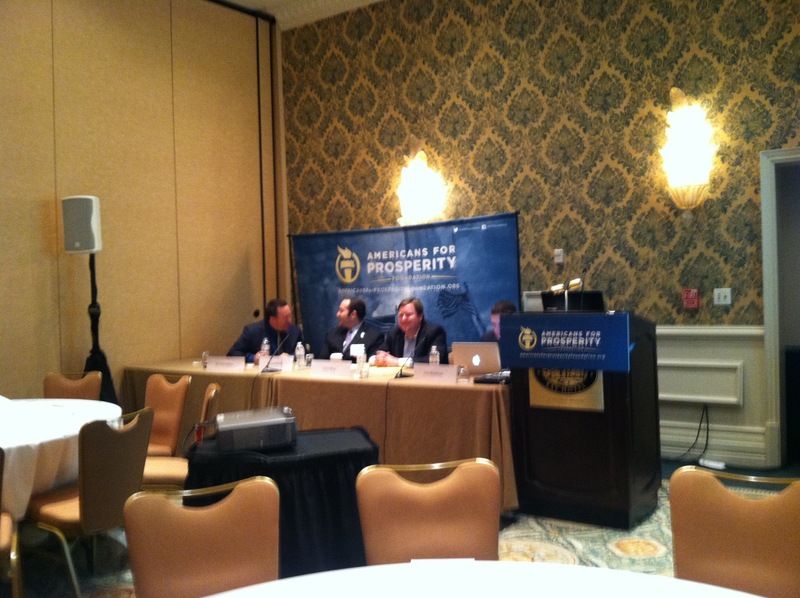 Previous Post: AFP Summits: Day 1 in Orlando! Politix, Glad you had a great time! It does seem like a lot of people were there and that’s a good indicator that people are willing to fight online for America. I love that! I prayed for your safe travel and glad GOD answered that prayer. I hope you don’t mind my linking again to a great source for Common Core information. A friend of mine runs the site, GrumpyElder.com/GrumpyOpiniions.com and two ladies who post there have been on Common Core since the beginning. They’ve found amazingly disgusting stuff in Common Core and it alarms me that more teachers are not fighting it. Does it not point to the teachers’ union’s Communist roots when so few teachers are fighting this thing? Welcome home and glad you had fun. Fire, what fun, good for you. Thank you, Suzanne!! It was amazing! I wish all activists such as myself could go– I enjoyed it immensely!